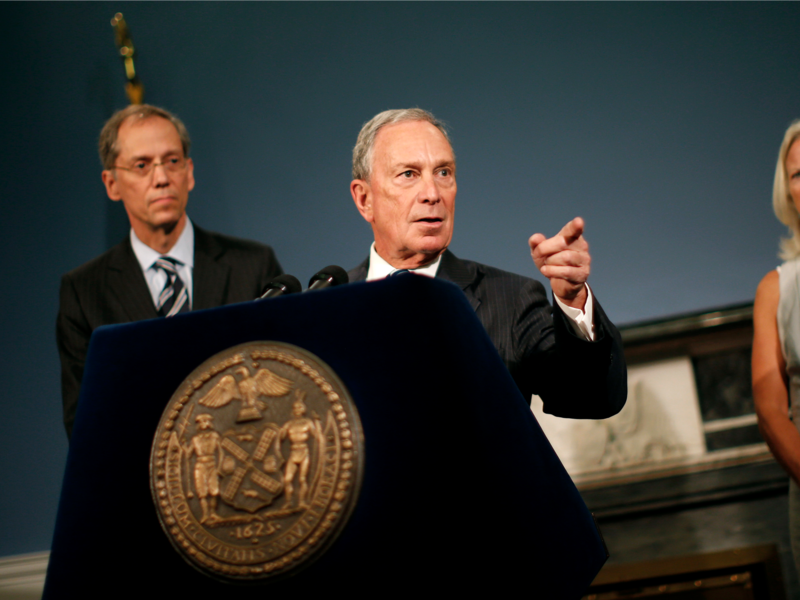 (P1) Mike Bloomberg, CEO of Bloomberg LP and former New York mayor, has HAD HIS SHARE of success. (P2) At age 73 he has become the 14th-richest man in the world, with a NET WORTH of $40.7 billion (£26.6 billion). He is a SELF-MADE billionaire. (P3) When he was in London on Thursday at a Goldman Sachs event to help small businesses, his advice was pretty HARSH for anyone wanting to GET AHEAD. (P4) Appearing on the stage with Goldman Sachs’ INVESTMENT BANKING co-chief Richard Gnodde, Bloomberg delivered six key pieces of advice for entrepreneurs — and they weren’t for the THIN-SKINNED. Are you thin-skinned or THICK-SKINNED? What kinds of adversity have you experienced in your life? Do you generally agree with Mr. Bloomberg’s advice?